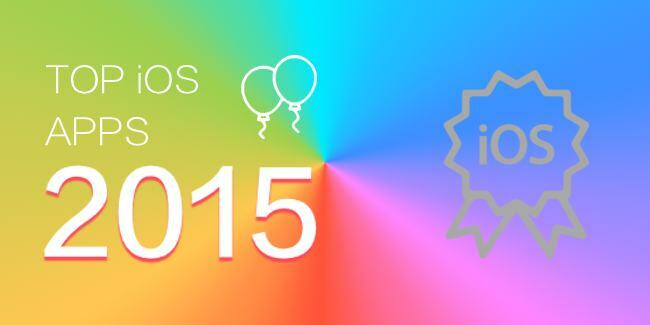 Hey iOS lovers there, these are the Most Downloaded and best iOS apps 2015. Have a look! iOS users are known to be very dainty about their choice. Not to brag but as an iPhone user, I like to keep an eye on the apple store on weekly basis. But there are these apps that were in my device from the beginning of 2015 and made it to last till the end. They never failed to amuse me in needed situation. Let’s download these best iOS apps 2015 if you haven’t already. 8.2/10I think this is the first app anyone downloads on their device right after buying from the store. I am not any different. It helps you connect with your friends who has gone missing and out of contact after school. Basically one simply can’t pass a single day without going through Facebook at least once in a day. Facebook doesn’t run GPS in the background unless you give the permission by turning on optional features. 8.5/10The LinkedIn app makes it easier to connect to the people and things that matter in your professional world. Accelerate your success by finding people and job. It is free to use and download. But you may like to have Premium subscriptions that offer exclusive tools and insights to find a job, grow your business, find sales leads, or hire talent. 9.0/10Human mind is complicated, but meditation doesn’t have to be. Untangle your mind with Meditation Studio by Gaiam. Get a diverse selection of over 160 guided meditations, featuring different styles, teachers, and traditions. Focus on your intention or dive deep into a meditation topic with exclusive collections and courses. Receive the tools you need to keep your mind and body healthy. Be guided by today’s leading meditation experts from all over the world. 8.2/10Time hop is the time machine to take you to stars! Just kidding, but this app helps you celebrate the best moments of the past with your friends. It’s like the throwback Thursday every day! This app syncs all your old photos and posts from your iPhone, Facebook, Instagram, Twitter, and Foursquare and replays your past a day at a time to show what were you doing a year ago today. Slice your memories; cherish them with your phone. 7.5/10The Huffington Post’s Real-time app is built for news junkies. Get real-time updates of the 2,000 articles published every day across our 13 International Editions. Personalize your top stories with the topics and countries that are the most important to you in a streamlined newsfeed. 8.6/10They say, there’s no place like Hulu for the holidays. If you are a season lover then it is for you. Watch the latest episodes of shows like Empire, The Mindy Project, Once Upon a Time, The Last Man on Earth, The Voice, South Park, and many more. 8.8/10Very popular photo editor of 2015. Move your finger over the skin for a smooth, glowing look, eliminating wrinkles and small blemishes. Simple to use, simply beautiful results. Easy to use. Facetune helps you look your Hollywood best, even in photos taken on mobile phones. 8.6/10One simply can’t go a life without viber these days. With Viber, everyone in the world can connect. It is free; it is completely free with no advertising. And the best part is the privacy. The good alternative to payphone cards. A must-have video calling app. 7.2/10HBO NOW is the new standalone streaming service from HBO, currently available for a limited-time, introductory free trial. Now all you need is the internet to get instant access to all of HBO, including all the big premieres at the same time they air on TV. Watch every episode of every season of the best drama serials. 8.4/10Once you are hooked with this app, you may never want to settle for the ordinary. This is the best professional photo editor for your display picture. Put some magic into your photos, stunning visuals are just one stroke away. Over 100 allow you to save, delete and prioritize filters; satisfy your personal preferences. 8.2/10I personally met too many wonderful people this year through Tinder; this is a fun way to connect with new and interesting people around you, of certain age and groups. Swipe right to like or left to pass on the people Tinder recommends. If someone likes you back, it’s a match! Chat with your matches and get to know them inside of Tinder. In other words, it is a very good dating app. 8.3/10Who doesn’t like to upload photos of what they ate for dinner last night on Instagram? With the charming filters and editing options Instagram happened to be the app you can rely undoubtedly to offer you the best effects of your photos and videos. You may also end up watching breathtaking moments shared by creative people across the globe. 8.4/10I am very addictive with this app. And it always tells the truth! No, trust me; the astrology application from Daily Horoscopes never disappointed me. You can have access to today’s horoscope, yesterday’s horoscope & tomorrow’s horoscope. Available for all 12 zodiac signs. 8.6/10Now, there are number of video editors in the store but VivaVideo is one of the most popular free video editor & video camera apps for being brimmed with features. It has over 100 million users all over the world so far. With VivaVideo, you can easily create your video story and share with your friends & family, transforming everyday moments into works of art as you want. 9.2/10Tiny Scanner is a little scanner app that turns your device into a portable document scanner and scan everything as images or PDFs. Your scanner giving you hard time at work to be speedier? Sudden breakdown in the middle of 5 pages scanning assignment? Grab this app which will simply make your life easy. That’s all for today. These are the top iOS apps we’ve chosen for you but don’t hesitate to include your choice of any mightiest best iOS apps 2015 in the comment section below.